... of books to take on Christmas vacation with me! I still have some reading to finish for the Cybils, but I'm also packing some books that are just for me. I intend to fully relax over the holidays. I have two historical romances. 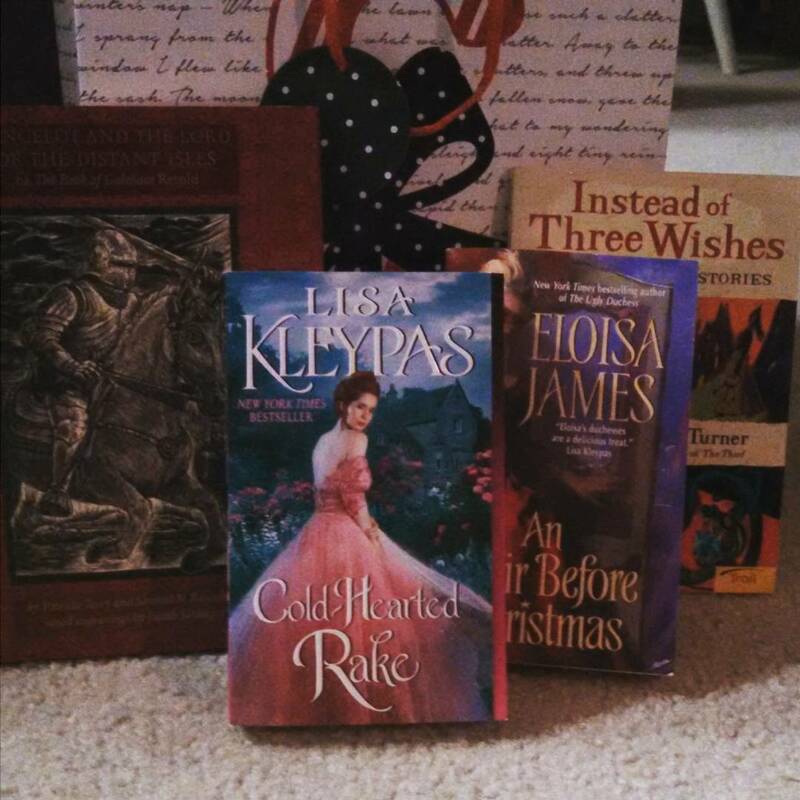 I've been very excited about COLD-HEARTED RAKE, Lisa Kleypas's return to historicals. 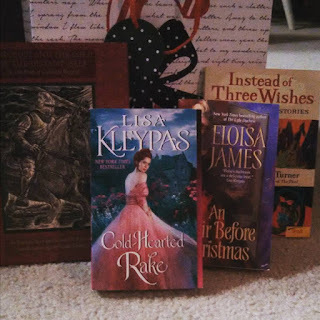 Eloisa James is another historical author that I love, and I picked up a copy of AN AFFAIR BEFORE CHRISTMAS because it seemed thematically appropriate. I made an amazing second-hand store find at my local Half Price Books: INSTEAD OF THREE WISHES by Megan Whalen Turner. This collection of seven short stories is hard to find (in my experience). I love Turner's Queen's Thief series, so I'm happy to try something else by her - especially something this short! LANCELOT AND THE LORD OF THE DISTANT ISLES or, THE BOOK OF GALEHAUT Retold is an Old French medieval romance that fell into obscurity until this translation by Patricia Terry and Samuel N. Rosenberg in 2006. This edition also includes wood engravings by Judith Jaidinger. I'm a huge fan of Arthurian romance, and Galehaut is said to include quite the interesting love triangle.